A round-up of all improvements and changes to the Buzz platform in version v3.0.108 available on April 11, 2019. Changed the name of Exam Templates to Assessment Templates to align with usage throughout the app. Updated Peer Assessment, Project Wizard, Groups editor, and Editor > Recycle bin to match the Buzz Material Design UI. Fixed an issue on the Create User, Create Account, and LTI Credentials screens where the browser was auto-completing the username and password fields. Updated the Teacher > Communication tool to return users to the last viewed announcement after using the Announcement editor. Clarified the "Change password" prompt in the admin tool by including the user's name. 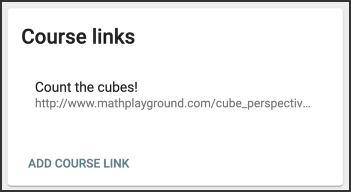 Moved the Course links creator from Teacher > Editor > Tools dropdown onto its own card in Course settings. Updated course import to validate the format of start and end dates. Fixed an issue in the teacher's communication page where editing an announcement didn't show the edits in the inbox after closing the editor. Improved user notes to not count or show hashtag terms from past courses unless View past courses is toggled on. Fixed an issue where subscription courses were erroneously displayed on Enrollment screen > Add new course. Fixed an issue where choosing Performance in the QuickNav menu would sometimes result in an error. Check out our new video tutorial about Assessment Templates by Brad Marshall from Agilix Support: Use Assessment Templates to enhance your curriculum and improve your students understanding. Assessment Templates allow you to integrate assessment questions more fully between chunks of content to create the desired flow and provide additional content that builds between questions.